Vote Now to Legalize Chickens in Every City in the U.S.
Vote to Legalize Backyard Chickens In Every City in the U.S.
Vote to legalize backyard chickens in the U. S.
Looking for a more sustainable living and thinking about raising chickens to do it? 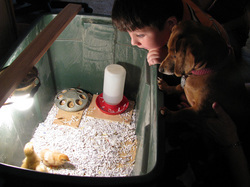 Do you want to raise your own chickens or maybe you just want a pet chicken. Are you tired of taking the risk of getting salmonella from the eggs you buy in the store? Would you like to Raise Chickens in Your Own Backyard? Would you like to adopt a homeless rooster? Sign the Petition to legalize backyard chickens in the U.S.